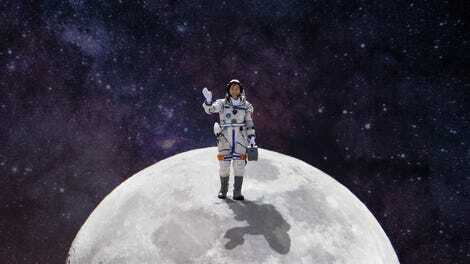 This Friday was supposed to be a day that a bit of space-exploration history would be made: the first all-female spacewalk was going to happen, just outside the International Space Station in Earth orbit. 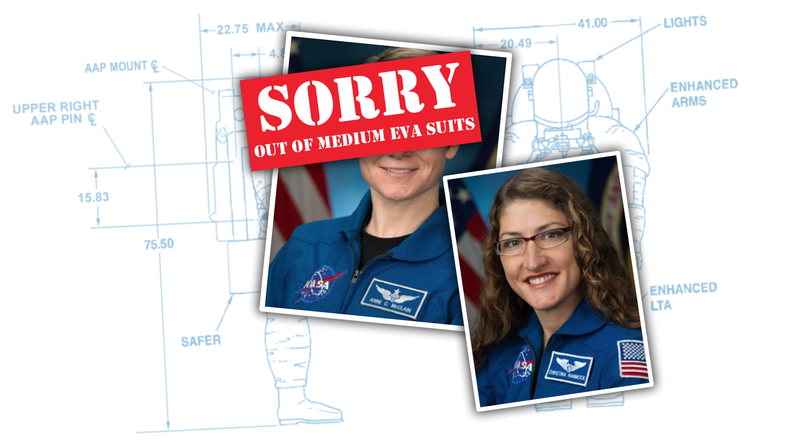 Unfortunately, the spacewalking team of Anne McClain and Christina Koch had to be broken up because there was only one medium-sized EVA suit on the station, and both Koch and McClain fit those. Koch will wear it, and McClain will be replaced by Canadian astronaut David Saint-Jaques. It should be made clear that there’s no safety issue here, really, as every astronaut that’s currently on the station has a functional Sokol-KV2 spacesuit worn when they took their Soyuz ferry to the ISS. In case of some sort of emergency with the life-support system of the station, these suits could keep an astronaut alive. The suits in question here are Extravehicular Activity (EVA) suits, ones specially designed for operating independently outside of a spacecraft and doing useful work. These suits—sometimes also called Extravehicular Mobility Units (EMU)—were developed way back in 1980 for the shuttle program, and are essentially like small, human-shaped spacecraft. The part of the suit that was an issue in this case is the Hard Upper Torso (HUT) portion, of which the ISS only has two medium-sized ones, the size both women astronauts needed. Unfortunately, only one of the medium HUTs was prepared to be used, and scheduling constraints meant that it was a better use of time to swap astronauts rather than prepare the other HUT. The bigger story here, though, is that NASA is actually running low on EVA suits, since they’re not making any more of the current design, and are still years away from completing the next-generation EVA suit for their new upcoming Orion spacecraft. NASA thinks they have the suits they need to support the ISS, but with 12 of the 38 current astronauts being women, most of whom fit better into the smaller HUT, NASA may find they need to come up with some more smaller suits.